The Association for Freedom of Thought and Expression, AFTE, has published a joint report with the Norwegian Students’ and Academics’ International Assistance Fund, SAIH, on March 21st 2017. This collaboration was proposed by SAIH, which is a solidarity organisation operating in different countries in Latin America, Southern Africa and Asia. 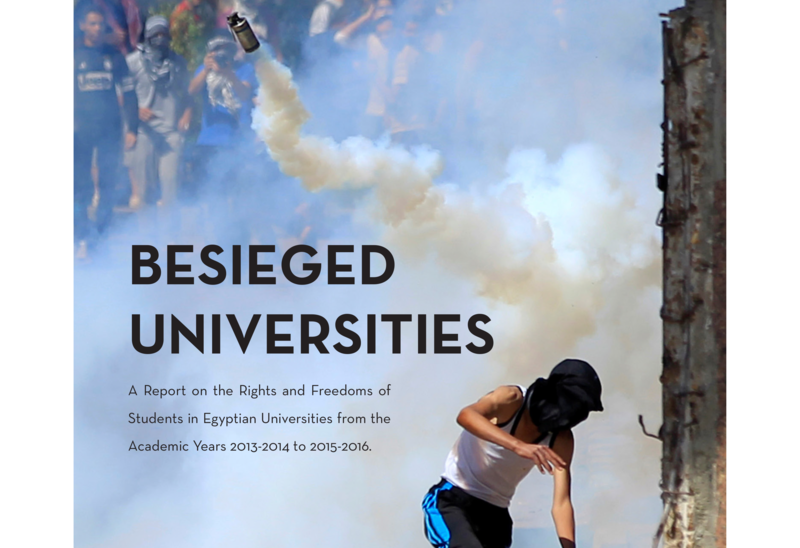 The report titled “Besieged Universities: A Report on the Rights and Freedoms of Students in Egyptian Universities from the Academic Years 2013-2014 to 2015-2016”, documents and analyses cases of violations that pertain to students’ right to assembly, organisation, education and freedom of expression. We were able to monitor legislative and security violations committed by the Egyptian state, as well as administrative violations committed by university administrations in the form of disciplinary sanctions against students. Additionally, the report analyses the effect such violations had and continues to have on the Egyptian student movement. It concludes with a set of recommendations to the Government of Egypt and the international community. The report was published in Egypt and in Norway and has gained media and policy traction since.